The Indian manufacturers have started offering many features in the vehicles to lure the buyers. The long list of features surely helps in highlighting the vehicle in the segment. We bring you ten vehicles which are best loaded in the segment. The Tiago became the best selling Tata soon after its launch. The hatchback offers a long list of features and is also available in both petrol and diesel option. It gets multi-drive modes, which is a unique feature in the segment. It also gets ConnectNext infotainment system that connects with your phone and shows the navigation on the infotainment system. The Tiago also gets ABS and airbags. Hyundai launched the updated Grand i10 earlier this year with many changes. The Grand i10 has become the best selling car in the segment because of a reason, and that is the long list of comforts that it provides. The Grand i10 gets LED DRLs, 14-inch diamond cut alloy wheels that make it look very modern. The car also gets 7-inch touchscreen infotainment system with Android Auto and Apple CarPlay. The infotainment also houses reverse camera. It also gets rear parking sensors, automatic climate and a rear AC vent, which is a unique feature in the segment. Maruti launched the all-new Dzire in the market earlier this year and the car became instantly popular in the market. The all-new Dzire gets thoroughly updated and comes with a long list of features. It gets LED projector lamps with LED DRLs and brake lamps, that make it look very premium. It also gets diamond cut alloy wheels. The car gets keyless go ignition, touchscreen infotainment system with Android Auto and Apple CarPlay. The Dzire also gets rear AC vent and the dual airbags and the ABS is standard across the variants of the vehicle. The Elite i20 was launched in a refreshed avatar earlier this year with an array of updates. The Elite i20 got a dual paint job, which makes it look very sporty. The Elite i20 offers 16-inch diamond cut alloy wheels. There are also LED DRLs on the outside. On the inside, the car gets orange highlights on the dashboard that makes it look much sportier than before. It also offers keyless entry with a start-stop feature. There is also a 7-inch touchscreen infotainment system that gets navigation and Apple CarPlay, Android Auto and MirrorLink. It also gets dual front airbags and ABS standard. The top variant gets six airbags. Hyundai launched the all-new Verna based on the K2 platform. Verna has always been known to offer the longest list of equipment in the segment. The all-new Verna takes it even further. The Verna gets 16-inch diamond cut alloy wheels that make it look good. It also gets LED DRLs with projector headlamps and all-LED tail lamps. The Verna also gets a few segment first features like ventilated front seats, automatic boot lid opening, and anti-microbial coating. The car also gets automatic climate control, cruise control, automatic headlamps, sunroof and rear parking sensors. There is also a 7-inch infotainment system with Apple CarPlay and Android Auto. All the variants get dual airbags and ABS as standard while the top end gets 6-airbags. Tata has always been known for loading their vehicles with a long list of features. The Nexon was launched earlier this year and it is the first sub 4-meter compact SUV from the manufacturer. It gets a long list of features, out of which many are a segment first. The Nexon gets multiple drive modes system that changes the engine output. It also gets the segment-first floating type infotainment system that gets Android Auto and Apple CarPlay connectivity. There is also an umbrella holder and best in class speaker system from Harman. The compact SUV also offers features like three-colour body and diamond cut alloy wheels. The Nexon is truly very loaded. Hyundai Creta is the highest selling car in the segment. The Creta comes with dual tone Piano Black finish roof and a sporty black spoiler that adds a very aggressive look to the vehicle. The car rides on 17-inch diamond cut alloy wheels. There is a 7-inch touchscreen infotainment system that gets navigation and rear parking camera with sensors. The screen gets Android Auto and Apple CarPlay connectivity too alongside MirrorLink. It also gets cruise control system. The ABS and dual airbags are standard across the range while the top end variant gets six airbags. 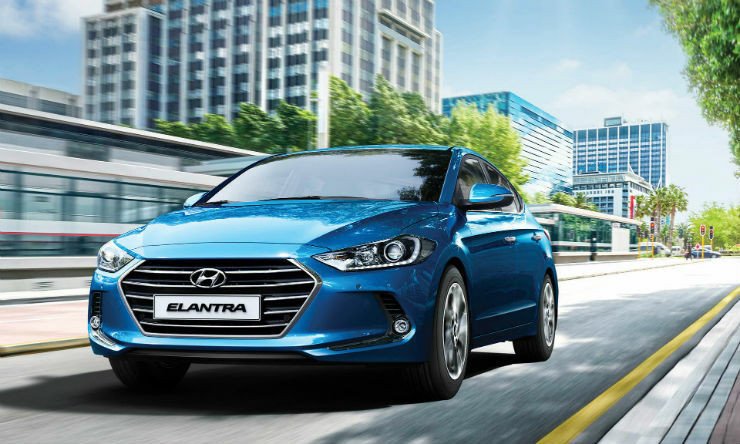 Hyundai launched the all-new Elantra in India earlier this year and the car is fully loaded with features. It gets 16-inch diamond cut good looking alloy wheels. The projector headlamps get LED DRLs and the tail lamps also get DRLs. On the inside, the car gets 7-inch touchscreen infotainment with Apple CarPlay and Android Auto. the seats are wrapped in leather and the interiors are finished in a high-gloss finish. It gets disc brakes on all the wheels and ABS and EBD are standard. The is dual airbags, infotainment with voice recognition, rear AC vent and seat height adjust standard across the variants of the vehicle. The top end gets six airbags. The Mahindra XUV 500 has been the popular name in the market for a long time now. The good-looking SUV comes with many unique features. The Mahindra flagship offers various features like projector headlamps with LED DRLs, 17-inch alloy wheels and a sunroof. The car also gets a touchscreen infotainment system with Mahindra Sense that shows various reading like driving patterns, fuel consumption, tyre pressure and more. It also gets hill hold and cruise control. The XUV 500 also offers ambient lighting and features like puddle lamps as standard. The top variant gets 4WD, ABS, ESC and 6 airbags. 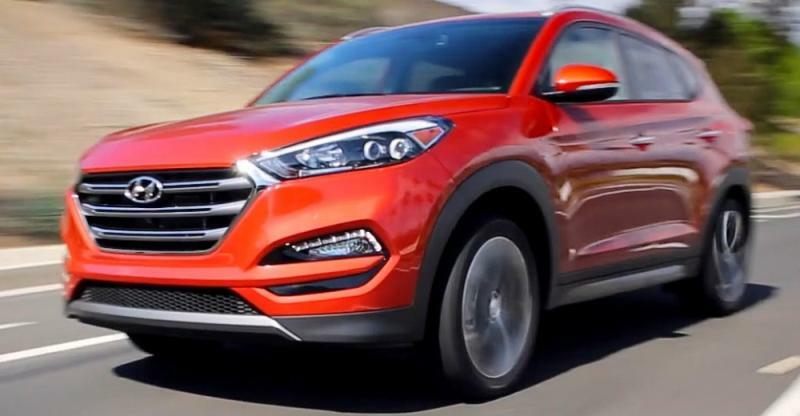 The Tucson is the fastest diesel SUV in the segment. Apart from that, the Tucson also offers a host of features. It gets first in a segment first HD 8-inch infotainment system with Android Auto, Apple CarPlay and MirrorLink. It also gets automatic headlamps and wipers, rear park assists with camera, electronic parking brake, cooled glove box and premium leather seats.